Hi everyone. 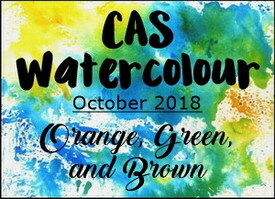 Welcome to a special challenge at CAS Watercolour this month. This is our 2nd birthday celebration and we hope you'll celebrate with us! This month's challenge is being hosted by the very talented Bonnie (Stamping with Klass). And she has picked one that will be lots of fun. 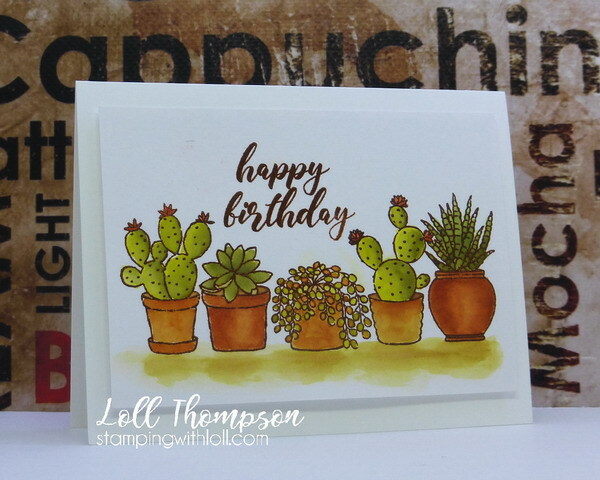 I used a sweet image of cacti from Penny Black. Stamped in Archival Sepia ... then decided to heat emboss in clear. :) LOVE this colour! Used distress inks to watercolour the plans and pots. Added a little grounding with a bit of a watercolour wash under the posts. Finished by stamping "happy birthday" in the same Archival Sepia and clear heat embossing. We hope you'll join us, along with our wonderful Designers and fantastic Guest Designer, Brenda (Friends Craftin' with Friends). We have some prizes up for grabs. One for the winning entry and one random draw. Check out the challenge blog to see the details and to look at the amazing, inspirational cards from our team. Then come play along! Gorgeous watercoloring on the cacti and plant pots, Loll! I love how you mixed your watercolors to create depth and dimension on the terracotta pots...so realistic and beautiful! Thanks for inspiring me to play along...and Happy 2nd Birthday to you, Bonnie and the DT for such a great challenge! What wonderful use of these colors, Loll! I love how you've colored the pots and the plants! The depth of color in your wash under the pots is fantastic! Wow! These 2 years have gone by fast haven't they? It's a wonderful journey with you, my friend! fun card Loll, I love the line up of Cacti. Your watercolouring is perfect. Happy CAS Watercolour birthday to you and the gang. 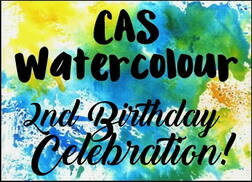 Congratulations to you, Bonnie, and the DT on the second birthday of CAS Watercolour! Thank you so much for the fun and inspiring challenge every month! What a beauty Loll - love the image and you have coloured it perfectly! Happy CAS birthday to you and the team. What a great image for the colors and your watercoloring is superb, Loll. Fabulous stamp, great colours and beautiful colouring on your perfect CAS card x.
I love this card so much. You really do shading so well that those flower pots look real along with the cacti. You really brought this image to life. Congratulations on two fantastic years of the watercolour challenge. Congrats on the second birthday celebration! 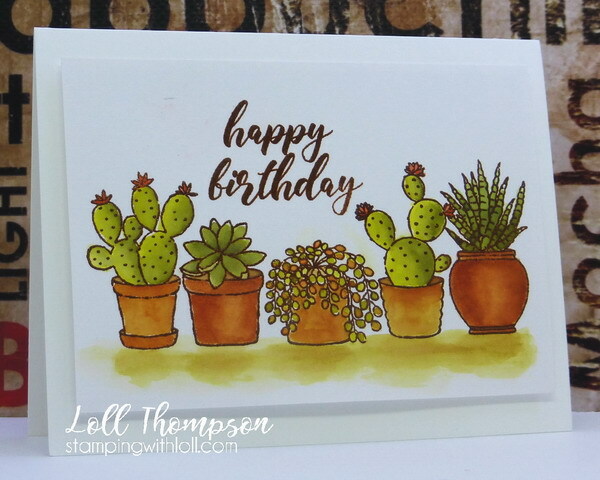 What a beautiful birthday card with the cacti! And, wonderful colors, so pretty! You have definitely mastered water coloring, Loll as is evident by this beautiful image. Your shading is so perfectly done. Great job with the wash to ground them too! No need to say your watercoloring is incredible. These are the sweetest CACTI, love the restricted palette. What fun succulents you have colored, Loll! These little guys seem to be all the rage! love how you used this colour combo mf....wonderfully done card. Happy 2nd Birthday! Two years already... and here’s to many more to come. Love the variation of colours on your cacti's Loll. Fabulous CAS card. Happy Birthday to you Bonnie and The Team. It's been 2 years already! Time sure flies when you are having fun, right? Your card is fabulous with great coloring! A very late comment from me - I'm just catching up with commenting on all the CAS DT cards I missed while on vacation! Love that cheerful row of potted cactus! They remind me of the great vacation I had in Arizona with my sister a couple of years ago. Perfect use of the challenge colours! Pink Christmas For the Cure!